I’ve had a few days to reflect on my interview now, so it’s time to yammer on about it for a bit. My invitation letter instructed me to arrive 30 minutes prior to my interview time, in fact I was even a little earlier than that – I wasn’t taking any chances. After passing through security and getting my ID badge I was instructed to wait at a side of the lobby before I’d be called in. 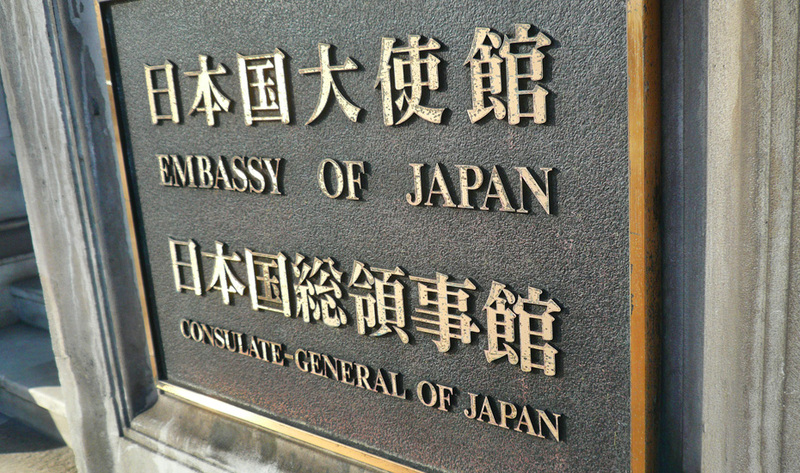 The Embassy was very plush, and there was a small exhibition marking the Centenary of the Japan-British exhibition. The interview process itself is composed of 3 parts, the first two of which you do in pairs. Firstly there’s a short grammar test, think this went ok although I did start to run out of time and rush through the final questions. Secondly you’re shown a short VHS(yes, VHS) of previous participants on the JET Programme and you’re also given a chance to chat with some former ALTs which was really interesting. Finally, and most importantly is the interview itself. I was interviewed by a panel of 3 people, a previous ALT and members of the consulate. I won’t go into too many details on the interview as all their questions will be in relation to your own application but definitely know your application, statement and placement requests! Frustratingly, some of the areas I was most confident talking about, such as certain historical figures never came up, but then again alot of stuff I revised did too. The interview lasted about 20 minutes, a couple of questions really put me on the spot, and others I was hit by memory blocks so overall it could’ve gone better, but also worse I’m sure! I’ll find out in April whether I’ve been accepted, cue excrutiating wait! We Fly out to Japan a Month today! Taking my first ever ski lesson!